Windows XP, Vista or 7 running on Intel or AMD CPU with SSE2-Support; Mac OS X 10.6.8 or higher running on a 64-bit Intel-based Mac; 1024 MB free RAM, DVD ROM drive. Standard DVD installation can take up to 7 GB of disk space. Software must be registered for permanent use. In short, CINEMA 4D and BodyPaint 3D run on any OpenGL 2.1-capable graphics card. We do however strongly recommend using a dedicated 3D graphics card with a chipset from AMD or NVIDIA. Currently, powerful graphics chips are also available on mid-range notebooks. Always make sure to use the latest drivers (no beta versions), certified for your operating system. Newer drivers are usually faster and more stable. If you're looking for speed comparisons, conduct a search for CINEBENCH scores on the internet. Disclaimer: MAXON cannot be held liable for the compatibility of specific graphics cards with the Enhanced OpenGL mode. Due to the amount of possible combinations of graphic chipsets, operating systems and driver revisions, it is impossible to guarantee the operation on all systems. Also, technical specifications in MAXON products are subject to change. 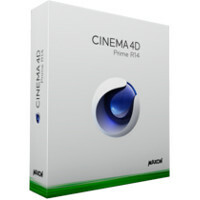 Please use the most current demo version of CINEMA 4D oder BodyPaint 3D to test the compatibilty on a specific system. If you intend to use NVIDIA's 3D Vision shutter glasses for your stereoscopic experience please note that a quad buffered graphics card is required for use in conjunction with CINEMA 4D.